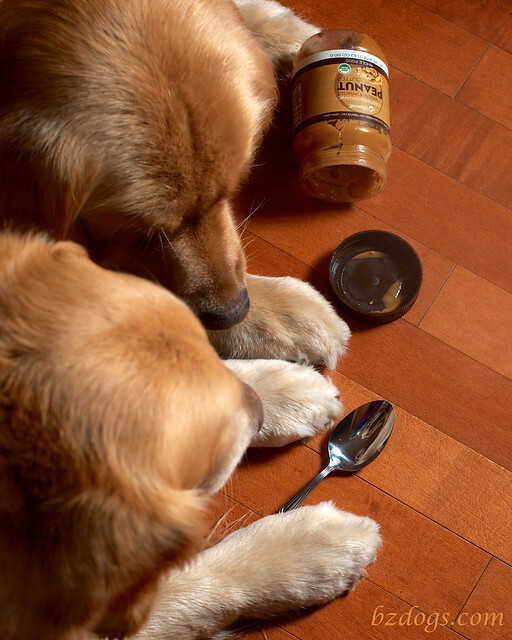 Zachary: "Well, we just pick pick up the spoon…"
Zachary: "May I help you, Mom?" 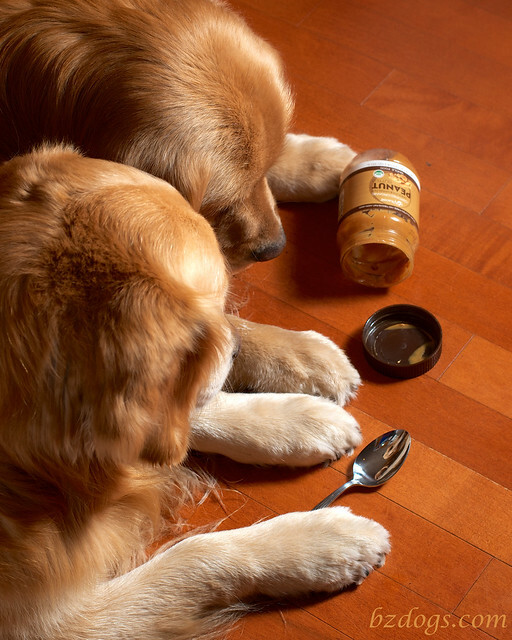 If Dogs Had Thumbs… that Peanut Butter jar would be toast. Daily Dog Challenge 1218. "If Dogs Had Thumbs…"
Turns out March 3 is "If Pets Had Thumbs Day". Our Daily Challenge - Mar 3 2015 - "Look"
I'd say they were surprised by my position if they weren't so distracted by the open and oh-so-available jar of Peanut Butter. 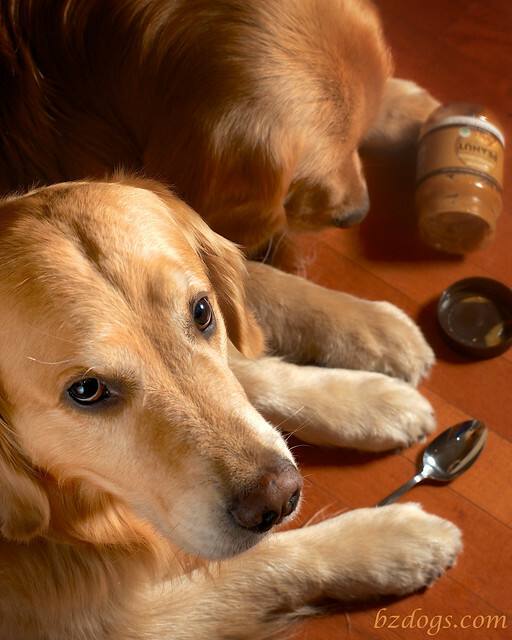 This was a near-empty tongue-safe plastic jar, and I spooned out the remains for them to share when the shoot was over. BOL and we dream on. Have a wonderful Wednesday. ....life would be perfect!! BOL! Wishful thinking!! Genius! 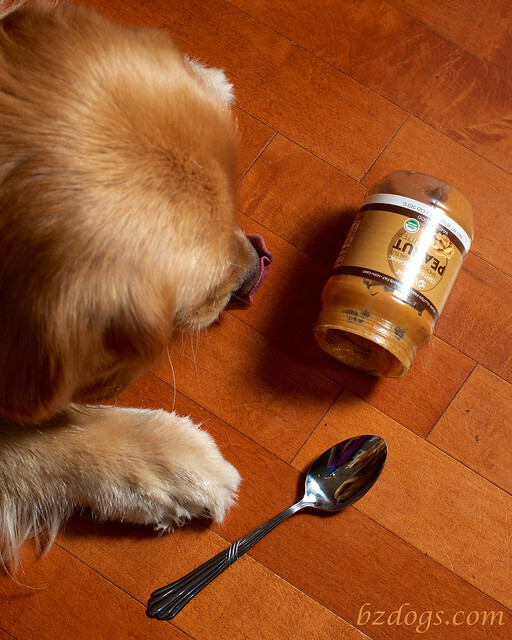 Mia only needs thumbs to get the lid off... she can get her tongue all the way to the bottom of the jar. No need for a spoon. 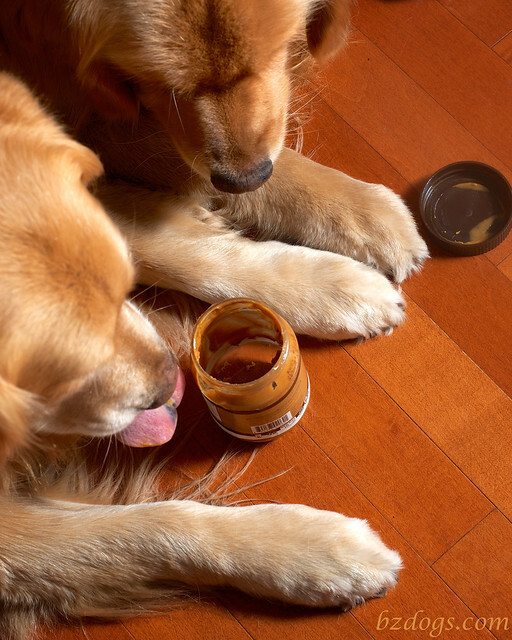 Oh of course, my dogs would definitely raid the peanut butter jar if they had thumbs! Terrific photos!